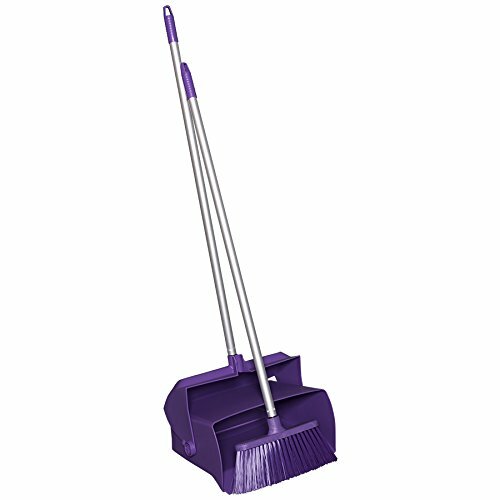 The Remco lobby dustpan w/broom has no hard edges or witness lines that could trap food residue or bacteria and can be easily disassembled and reassembled for regular washing and sanitizing. The large, 7” by 14” bin allows for big and small cleanup jobs while the tall, 37” handle alleviates back pain that stems from leaning over shorter dustpans.Set includes one broom and one lobby dustpan with handle. If you have any questions about this product by Remco, contact us by completing and submitting the form below. If you are looking for a specif part number, please include it with your message.